Known as the International Film Festival until 2002, the Cannes Film Festival or the Festival de Cannes is an annual film festival conducted in Cannes, France. It serves as a brawny stage for previewing new films of all genres including documentaries from around the world. This annual festival is an invitation-only event that is held at the Palais des Festivals et des Congres in the month of May. Official Selection: This is the main event of the festival in which twenty films compete among each other for the Palme d’Or. All these films are shown at the Theatre Lumière. Un Certain Regard: This section hosts 20 original films from different countries, which are shown at the Salle Debussy. This part of the event is a much fair one compared to the commercial Official Selection. Out of Competition: These films are out of the main prize competition, but are showcased to a broad audience at the Theatre Lumière and the Cinéma de la Plage. Cinefondation: About 15 shot and medium-length movies from various International film schools are showcased at the Salle Bunuel. Short Film Palme d’Or: This section includes the showcase of around ten short films that compete the Salle Bunuel and Debussy Theatres. If you haven’t got an official invite, then worry not! The Cannes festival also has a gala of events lined up for the public and tourists as well. Cinéma de la Plage: The most significant public event of the Cannes Film Festival, Cinéma de la Plage, allows the public to get a glimpse of the films. It hosts a vast outdoor film screen that will enable you to watch Out of Competition section films and some of the Cannes Classics. The screening happens on the beach at Plage Mace, where you can enjoy a lovely picnic along with a movie as the night falls. They also have some tents set-up for the public, to let them pick up a few souvenirs of this film festival. The official Cannes Film Festival souvenir shop, however, is opposite to the Majestic Barriere Hotel on La Croisette. 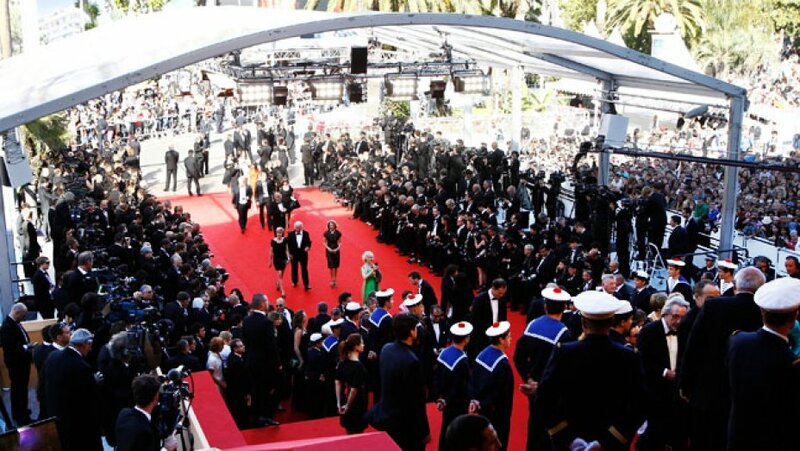 The 71st annual Cannes Film Festival is scheduled this year from May 8th to 19th in the town Cannes, France. Check out our Europe tour packages which is an ideal location for a family picnic or romantic walk with your significant other. This fun festival in the quaint town of France is all about films and various celebrities spotting. It is one of the largest film festivals that take place in the world, hosting film personalities from multiple countries around the globe. The Cannes Film Festival is a celebration of films and the beautiful Cannes town of France, that attracts tourists and public from across the globe.